Amp manual says "Do not plug amp into a switched outlet on preamp or other audio equipment". Does this include a power conditioner? BEST ANSWER: Hello, thank you for your inquiry. This item is recommended to be connected directly into a power outlet so a power conditioner is included on things you should not plug this into. I hope this helps, thank you! My understanding of the manual's instruction, is that you should not plug the amplifier into a plug socket that is on the back of another audio component. For eg. some receivers have their own plug socket on the rear panel that can be used if you have run out of plug sockets elsewhere. I don't see any problem with using a power board or power conditioner. Perhaps email monoprice with this question for absolute clarity. Maybe also recommend a revision of this instruction in the manual so it is more clear to all readers. Most manufacturers appreciate this kind of feedback. 3 x 200 watts plus inefficiencies = 800+ watts or ~ 7 amperes - you don't want that kind of current going through your pre-amp et al, even as a pass-thru. check you power conditioner rating also. I have my Monolith 7 connected to a Marantz 7702mkII pre-amp. It's switched on via a remote trigger connection between the two units. I upgraded the stock power cords with Audioquest NRG-4's and both are connected to a Furman Elite PF15 power conditioner . No problems whatsoever. 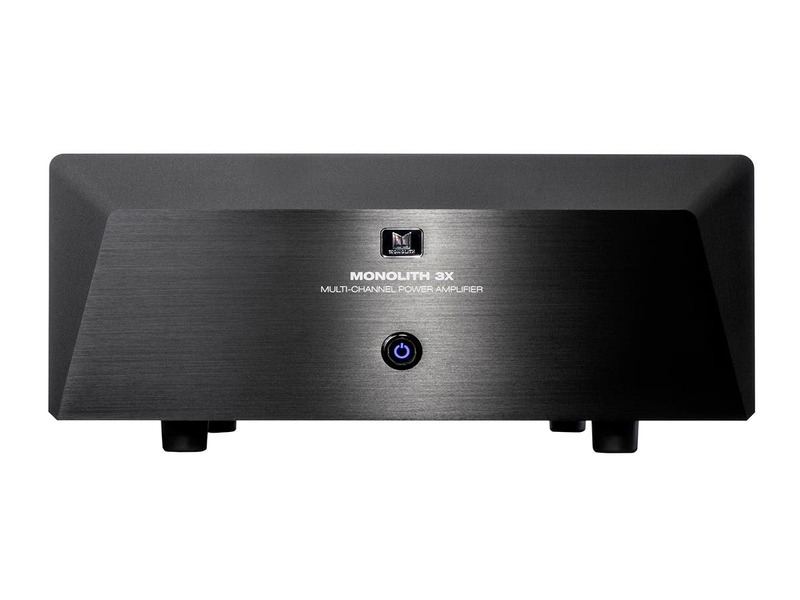 I turn on the pre-amp and the pre-amp turns on the Monoprice Monolith. I surmise the manual is cautioning against users experiencing power surges through switched outlets, etc. I have mine plugged into a Panamax which controls the power on/off sequence with my other amps. Is there a photo or drawing of the rear panel for the Monolith 3? 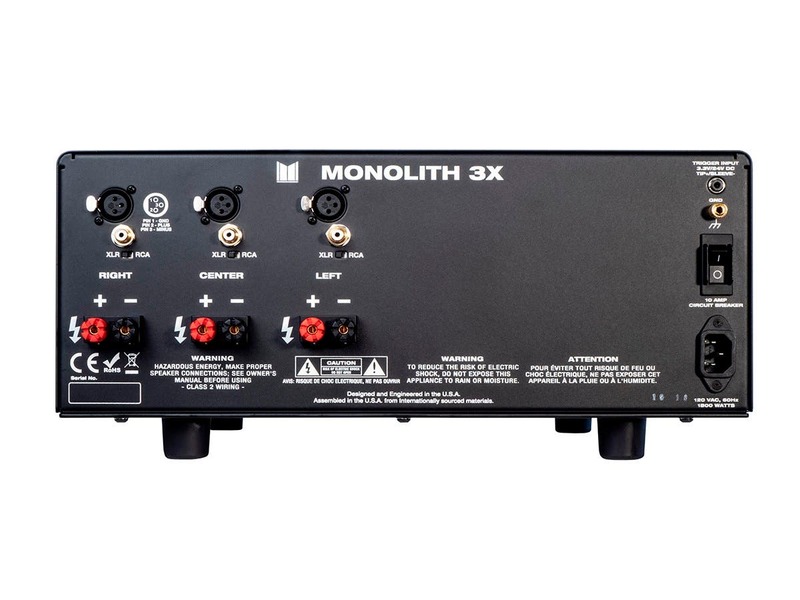 The back panel of the Monolith 3 is EXACTLY the same as pictured for the Monolith 7, except that it does not contain inputs or speaker connections for right back, right surr, left surr, or left back. Those areas of the back panel are just plain black metal on the Monolith 3. There is no photo of the back panel of the Monolith 3.......they save money and show only the Monolith 7. Does this amp have any sort of auto power on when a signal is detected? Or must you physically press the front power button to turn on or off? BEST ANSWER: It has a 12V trigger input. So, it will not autosense and turn itself on, but if your Receiver/Pre-Amp/Source has a 12V trigger out (most high end equipment does) you can run a 3.5mm mono cable from the trigger out to the trigger in, and the amp will turn on whenever your receiver/pre-amp/source turns on. Yes. From the manual: "...this amplifier features a low voltage trigger input." You can get the user's manual from the product's "full specs" tab. Is the entire XLR signal path balanced? BEST ANSWER: No. RCA only. Nice amp though. Really heavy. Sorry but my amp is last year's model and only has RCA inputs. If I use this initially for only 2 channels does the third channel output need to be loaded/connected in some way or can the third be unconnected to anything? BEST ANSWER: The third channel can remain unconnected. Not at all. All three channels are independent. I very often listen to mine in two channel only. Hi do these amps also work on 240 volts ? 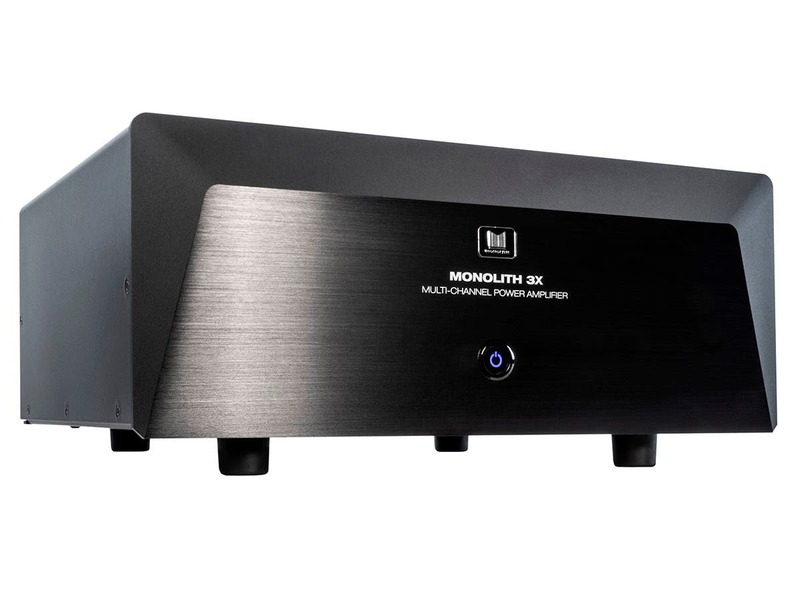 What is the dynamic power of this amplifier? BEST ANSWER: The amplifier has more than enough power. There is a test report at the bottom of the product page, and you can read a review at Audioholics.com. whats the power output all 3 channels driven at 4 ohms? BEST ANSWER: A little over 300 watts. Will this amp work with 230v 50hz power supply? For example in the UK. Sit down, shut up, and hang on !!! Awesome full rich sound !!! Used to drive the front stage of my 7.2.4 A/V sound system with Klipsch Reference Premier speakers and Denon X4400H receiver. I highly recommend this mow-mow amp. Ready to rock, I do buleeve doc! Very nice sounding amp. A great value in terms of power, build quality, and cost. The only thing that I would like to see added would be a 12v trigger output so another device could be triggered off of the amp without needing to split the original trigger signal. I have def tech speakers in a room with vaulted ceilings and all tile and hardwood. It’s a sound nightmare. This amp added a lot of warmth and power to a very bad situation. Music and movies are amazing. I would recommend this amp to anyone with an audiophile ear on a budget. I use this amp to power the front 3 speakers in a 7.1 surround sound system. By offloading the front 3 from my receiver there is considerably more punch and headroom as well as more clarity in movies now. The sound is richer and everything is more engaging and detailed. My front left and right are full size towers and I run them full range. I have the Monolith in an open front and back rack with about 5 - 6" of clearance to the shelf above. The amp runs only slightly warm. Using the RCA inputs from a Yamaha Aventage receiver there is no hum or unwanted noise from the speakers. Power on/off trigger works as intended. I had to beef up my shelf, it was bending slightly from the weight of this thing.My only complaint is an occasional faint hum from the amp transformer. It does not do this all the time, nor at the same level each time, but it is audible in a silent room from several feet away. No big deal for movies as my projector fan is louder. I just hope it won't get worse over time. Love it! Very high quality, and we all know why and who builds it for Monoprice. I would have had to pay a lot more for it with the other label on it. Great value and sounds great and zero background noise. I use it for my three front channels and let the AV receiver handle the surrounds, rears, and Atmos. Great sounding, high quality amp at fantastic price! 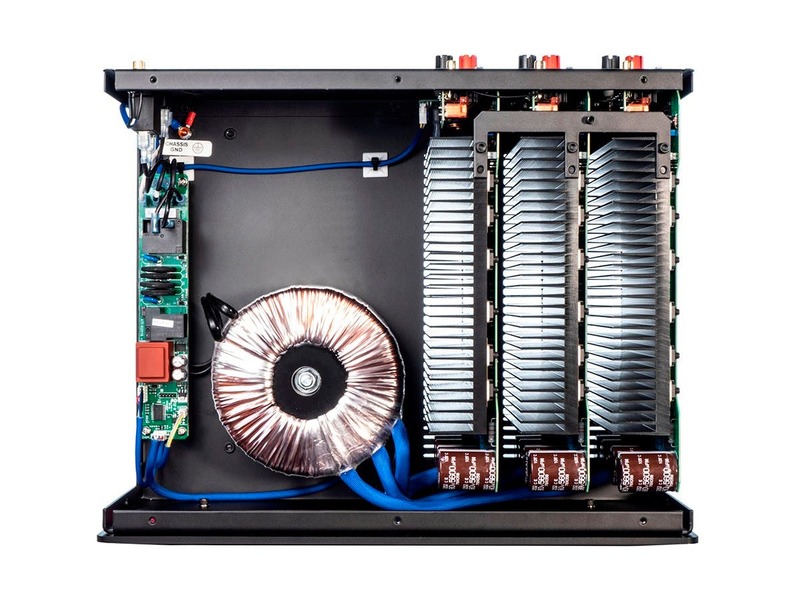 Beautifully built amplifier that puts out smooth, continuous power at real ratings! Had to change out our existing stereo amplifier for one that would push three channels. Was concerned as the speakers we have are very inefficient at four ohms and require a lot of power to drive them. This has done more than I expected, with plenty of headroom and smooth, Rich sound. Would highly recommend. This amp is really nice piece of equipment. Nothing feels cheap to me. Really heavy! One single light ring on the front to tell you it's on. My JBL towers are two 8" n tweeters. 210 watt max. The center channel is two 6" n tweeter. 160 watt. Max. All at 8 omhs. Nothing to hooking it all up. Movies are now have that head room for explosions etc. Just wish they made 6 n 8 channel 75 watt. Amp for the object speakers. I was searching for power amplifiers for months. My intent was to add outboard amplification to my existing Marantz SR5010 receiver. I was looking into mainly 2 channel and 3 channel power amplifier products. On this particular system, I listen to music 70% and movie content about 30%. Tops on my amplifier list were the following; Monoprice, Emotiva, Parasound, Outlaw Audio, Marantz and various used Carver and Rotel products. Purchased this unit at a reduced black Friday price and I couldn't be happier with the purchase. The amplifier added incredible dynamic range, increased almost effortless volume sound pressure level and clean power to my existing system. The unit does NOT run very hot, it runs quite a bit cooler than my Marantz SR5010. When I plugged it in, I experience a ground loop with my cable tv plug on the wall - a humming noise coming from the speakers and slight humming noise from the amplifier itself. I thought the amplifier was problematic however I was able to fix the hum with a ground loop isolator product which plugged inline from the coax cable outlet to my cable box receiver. The amplifier is now dead silent. The 12 volt trigger cable from the amp to the receiver works every time I turn on the receiver. 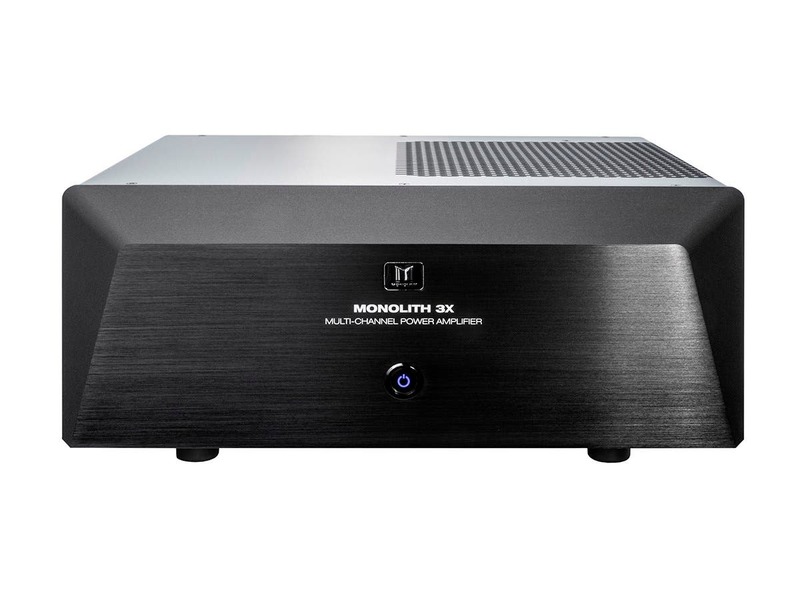 The build quality is exceptional and heavy - exactly what a good power amplifier has always been - heavy. I cannot think of any CONS to this product. For the price I paid for this, this is a five star product if I have ever seen one. I am pairing this with a set of 10+ year old Polk Audio RTI8 speakers which I plan to replace in the near future. Good job on this product Monoprice. This amplifier is a solid performer, but I can't hear much of a difference when compared to my existing (Tandberg 3026A) amp at 150w/channel. The biggest downside is the weight ...over 50 lb so it can only go on a reinforced shelf, and you will need help getting it there. No performance issues.